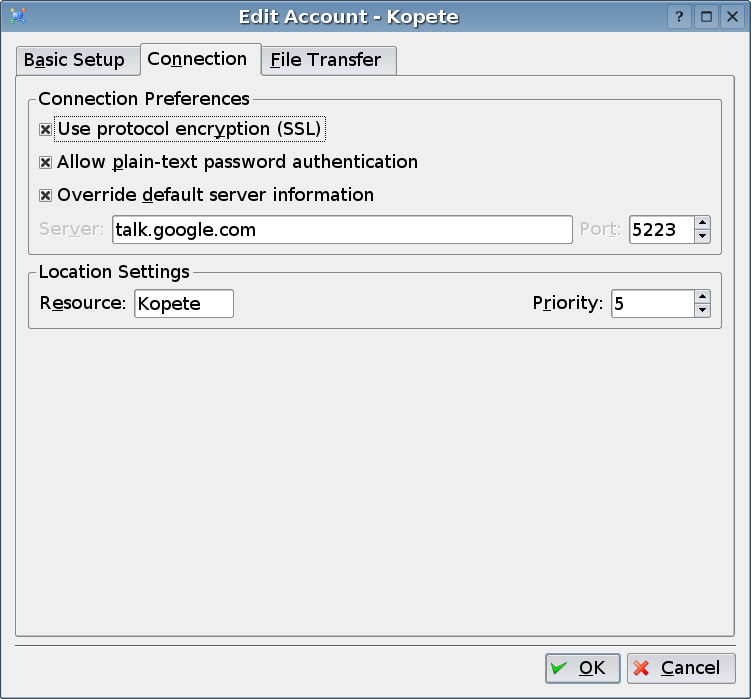 Now that Google Talk is live and is a Jabber service the next question is – how do I connect to it using the KDE Instant Messaging client Kopete ? It’s dead easy – it’s just another Jabber server with the only restriction that you *must* connect to it via SSL. You should now have a screen that looks like the image at the end of this article. At that point you should be ready to hit Next to create the Google Talk Jabber account in Kopete! Additionally, I had to change the port number to 443 to get working within our firewall settings. I got tired to figure out why my kopete was not getting connected using port no. 5223. Used 443, as firewall was blockign the same. Just confirmed that works for me too, I’ll add an update to the story. Anyone tried using voice chat using these settings? I could not get it work on Kopete. Tried using Tapioca, but it doesn’t work within firewall. I know it’s supposed to be possible, but haven’t got there yet! enabling jingle option to get voice support. I did not try that yet. > enabling jingle option to get voice support. I did not try that yet. Jingle support but it crashed when I tried it out. 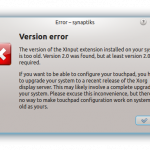 So I don’t think it’s enabled in the default builds of Kopete.